White House spokesman says the U.S. needs to review what happened in Egypt, when asked if Obama sees the regime change as a coup. “We are going to take the time necessary to review what has taken place,” said White House press secretary Jay Carney, when asked directly whether President Barack Obama views the regime change as a coup, according to the Washington Times. “This is an incredibly complex and difficult situation,” Carney added. A military overthrow of an elected leader entails economic sanctions and as such, defining the situation in Egypt as a coup could result in the U.S. cutting off its aid to the country. The White House called on all sides to refrain from violence in Egypt, where dozens have been killed since Morsi’s ouster last week. He said “tens of millions” of Egyptians had legitimate grievances with Morsi’s “undemocratic” form of governing, reported the Washington Times. “We need to be mindful of our objective here, which is to assist the Egyptian people in their transition to democracy and” protect U.S. national security interests, Carney said. Egyptian Foreign Minister Mohamed Kamel Amr on Thursday told his American counterpart John Kerry that the overthrow of Morsi had not been a military coup. "I hope that they read the situation in the right way, that this is not a military coup in any way. 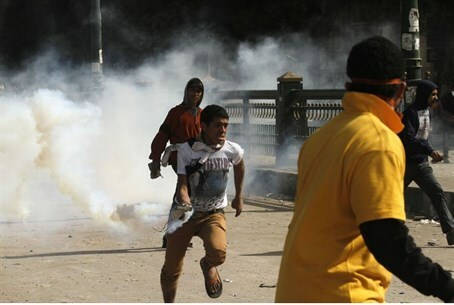 This was actually the overwhelming will of the people," Amr said. Several congressmen, including Sens. Patrick Leahy and John McCain, have called for at least a review of the $1.5 billion in aid that the U.S. provides to Egypt annually. Carney, however, said it “would not be in the best interests of the United States to immediately change” its aid to Egypt, although he said the administration is reviewing its options.